Initial work on a functional new wetland ecosystem at Te Puna, north of Tauranga, could get underway by March. The development, which will feature cycling and walking tracks plus cultural and ecological signage for all to enjoy, has been kickstarted by a $250,000 BayTrust grant. The 25ha Tahataharoa wetland, on the Te Puna headland of the Wairoa River, will become a public reserve owned by Pirirakau Incorporated Society and jointly-managed in conjunction with Western Bay of Plenty District Council. The two parties have negotiated during several years with a private landowner to purchase the site and are excited to transform it into a functional wetland ecosystem. The joint project is one of four successful applicants in BayTrust’s inaugural Community Amenities funding round, which is designed to help fund building or upgrading community and environmental assets across the region. Western Bay of Plenty District Council deputy CEO Gary Allis hopes initial work can now get underway by March. Stage one is expected to cost around $1.4 million, and Gary says the grant from BayTrust is a significant step forward. “It’s fantastic as it provides the project with the recognition it deserves. It’s a big achievement for Pirirakau but also for the community who will get a lot of use and enjoyment from this area and be invited to get involved in the restoration itself. 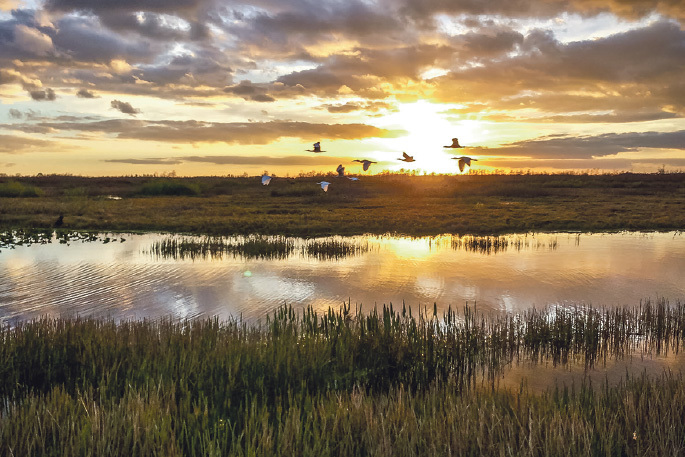 The plan is to restore the wetland with native plantings and re-establish inter-tidal vegetation to create a home for native birds and enrich the area’s biodiversity. A boardwalk with viewing platforms and signage will be built, a combined walkway and cycle track will be created, and cultural gateways will reflect the deep connection tangata whenua have with the site. Piriraku Incorporated Society environment manager Julie Shepherd says the area is the final resting place of the hapu’s principal ancestor, Tutereinga. The project will help restore mana and reconnect people to the land, which was confiscated for a military settlement between 1840-1860. Julie says the hapu has fought for years to prevent development that would disturb the area, and the society is thrilled to be collaborating with WBOPDC and the current private landowner to protect it for future generations. Community groups and schools within Pirirakau’s rohe will be invited to help create the new ecological and cultural space, and interpretation boards will be installed to help share the area’s history. “I’d like to pay tribute to our chairman, Rawiri Kuka, who has pursued this project for so many years,” says Julie. BayTrust CEO Alastair Rhodes says the Community Amenities Fund is designed to grant between $100,000-$500,000 to capital projects that deliver new permanent facilities, or upgrade and preserve existing community and environmental assets. A total of 43 possible projects were considered this time. “Once restored, this 25ha will add approximately five per cent to the total amount of wetlands in Tauranga Harbour,” says Alastair.